The Triumphant Return of Late Night Action – Season 5! 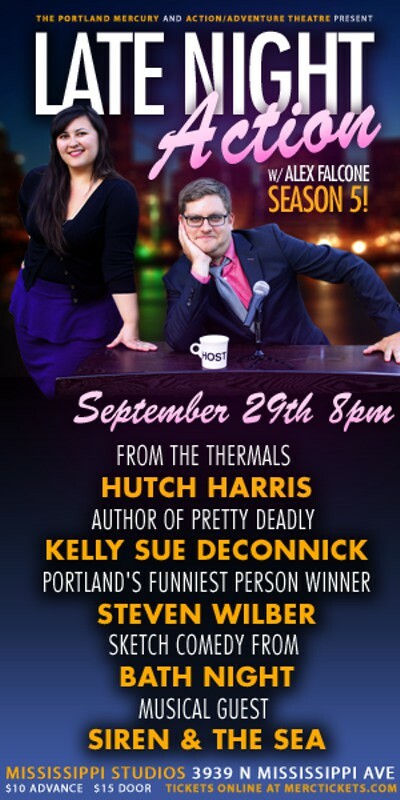 This entry was tagged action/adventure, alex faclone, bath night, Bri Pruett, comedy, hutch harris, kelly sue deconnick, late night action, portland, seven wilbur, siren & the sea, talk show. Bookmark the permalink.